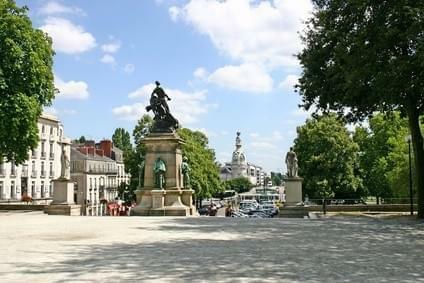 The city of Nantes is ideal for a city break, just to mark a break! This city is filled with a certain charm and it allows in a few days to have a rich and varied time. The historical heritage of the city is the main attraction and if you are a lover of art and heritage, you will love what you'll discover. For a first visit, it will mainly go to the castle of the Dukes of Brittany, emblematic monument of the whole region, it is quite possible to visit it. The park where it is located is also very attractive and you will see, you will feel that time stops; an infinite feeling settles both soft and relaxing. St. Peter and St. Paul Cathedral also deserves a little jump for its architecture of the nineteenth century overlooking the alleys of the city. And then, this strange and curious attraction, these monsters of steel you will have the opportunity to contemplate. The articulated machine of the Ile de Nantes are so huge and are a real curiosity in the city, is an interesting modern artistic touch that adds a lot of charm to urban planning of the city. If you are a lover of astronomy and space, the Planetarium of Nantes should delight you. This is a unique place to explore the universe and space. It is close to Jules Verne Museum. And for a romantic touch to this City Break in Nantes, a walk in the botanical garden and the island of Versailles are recommended. The setting is idyllic, you can also decide to make this boat ride. For your meal, do not forget to try their Breton specialties is delicious especially their pancakes. There is a famous pancake, "Yellow Pancake" which offers excellent toppings. For lovers of shopping, Nantes offers wonderful corners. You can go to the street Crebillon at the Pommeraye passage, and you'll be amazed at the number and variety of stores. In addition the prices are usually interesting, enough to splurge.